Home Office / Innovation Fund supported. Aims to implement predictive policing through apps. 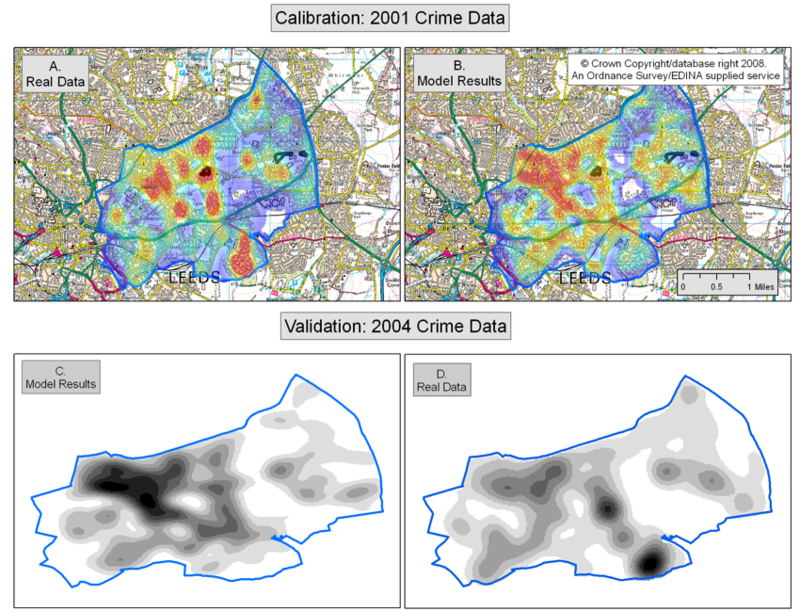 Leeds running statistical tests on the various algorithms, looking at different crimes and urban (and rural) structure. Also testing how crime theory plays out in predictability; for example, how do algorithms respond to crimes matching different theories. To do this, probably use ABM to generate datasets in different localities and of different types, with different underlying theory. Linking theory with crime patterns to test it. Forecasting social / environmental change. Exploring aspects of current data patterns through prediction. Spatio-temporally variations key to understanding system. System with history of qualitative theorisation that needs testing. Largely individually initiated in UK therefore don’t need so much data-poor social interaction modelling. Should be possible to run “what if” tests (specifically, urban regeneration in Leeds). Significant component of fear of crime in UK. Attributes of the individual houses. Personal characteristics of the potential offender. Features of the local community. Physical layout of the neighbourhood. Potential offender’s knowledge of the environment. But cannot capture non-linear, complex systems. Create an urban (or other) environment in a computer model. Stock it with buildings, roads, houses, etc. Create individuals to represent offenders, victims, guardians. Give them backgrounds and drivers. Risk for areas of different MOs and target characteristics. We need better models of the ambient population! 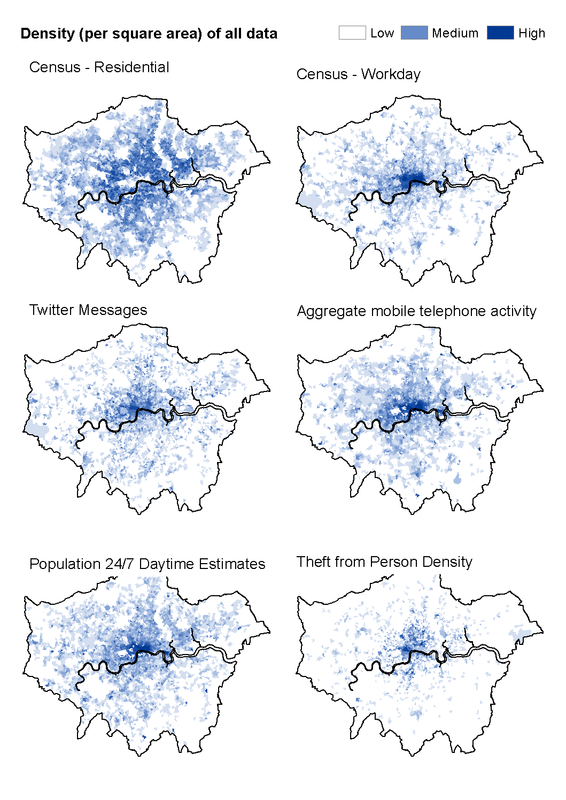 New insights into urban mobility patterns and footfall estimates.